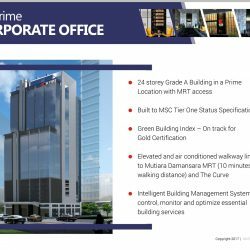 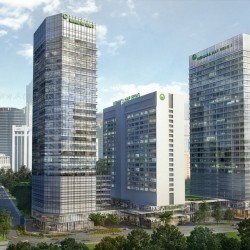 Prime Office Tower, Green GBI Certified. 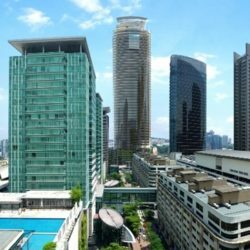 LOCATION:- Jalan Raja Chulan, Kuala Lumpur City. 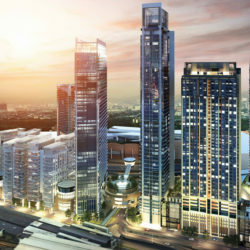 SIZES:- 2,915 / 5,700 / 9,590 / 10,206 / 19,796 / 39,592 / 118,776 or more. 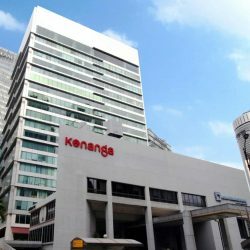 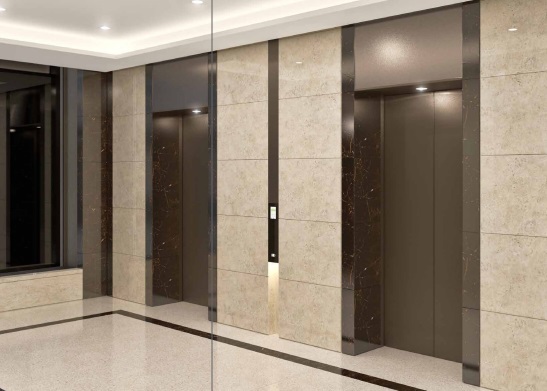 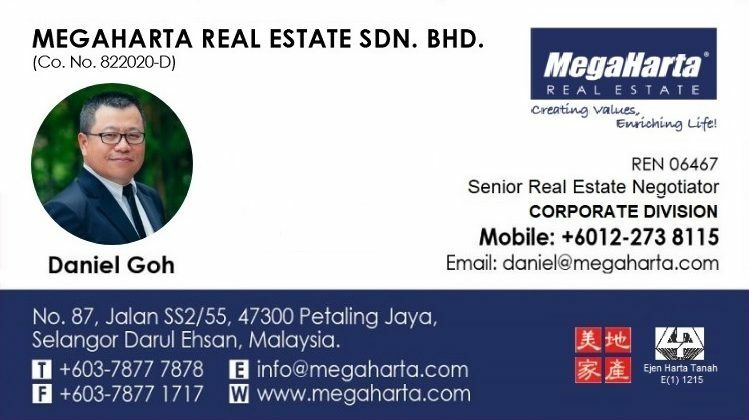 Menara Khuan Choo is a 10 storey, Class A office building located on Jalan Raja Chulan, next to the existing Pavilion Office Tower. 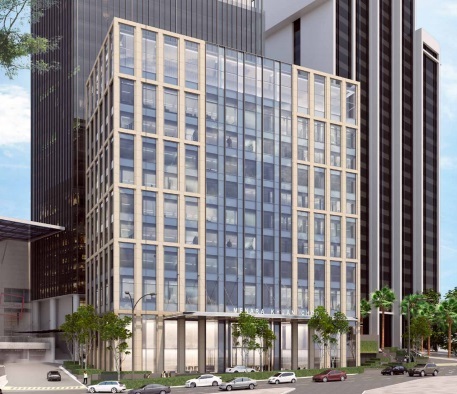 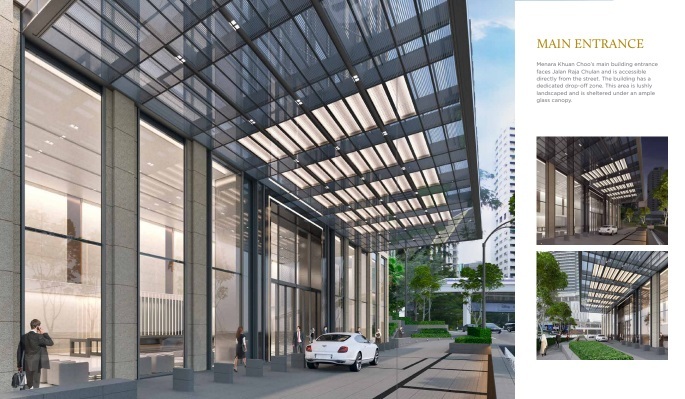 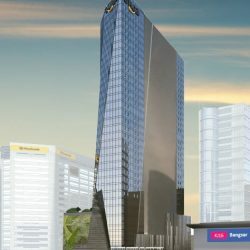 The new MKC office building marks the northwest entrance to the Pavilion Retail Center, taking advantage of the existing pedestrian bridge to KLCC as well as the existing Pavilion Garage access. 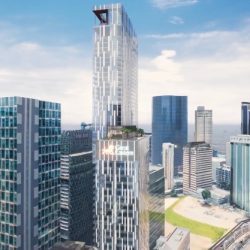 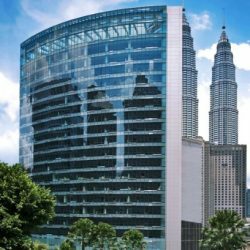 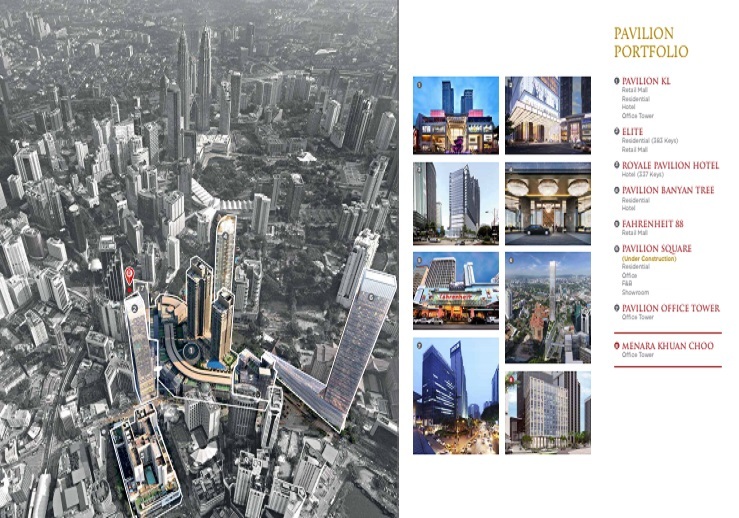 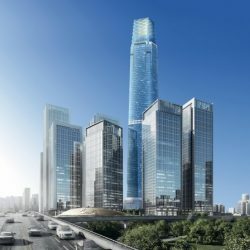 Both location and design make Menara Khuan Choo an ideal setting for office activities within KL’s Golden Triangle. 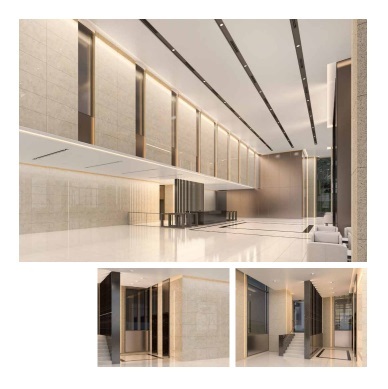 Menara Khuan Choo’s glass and light-colored stone façade is a striking addition to the office building cluster surrounding the busy Jalan Raja Chulan and Jalan Sultan Ismail intersection, yet blends-in with the trade-mark appearance of the Pavilion commercial center. 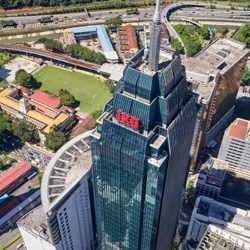 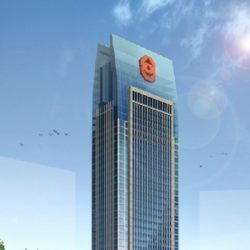 Menara Khuan Choo is a GBI certified building.